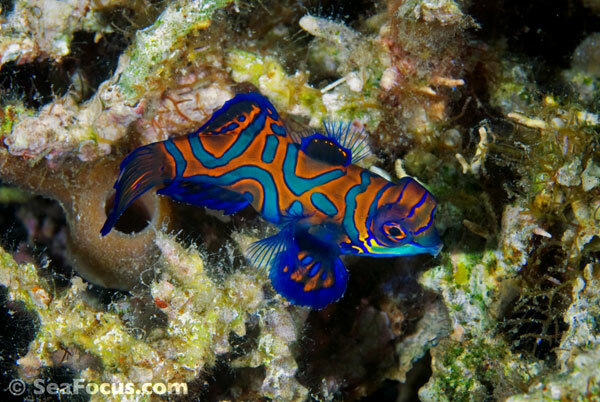 Dragonets are small fish from the diverse Callionymidae family (from the Greek meaning beautiful name. 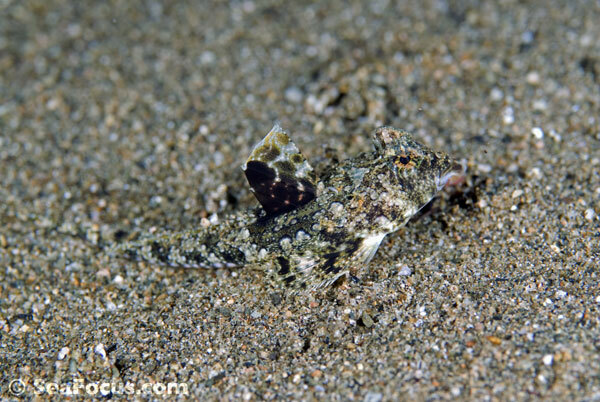 There are about 186 species in 18 genera. 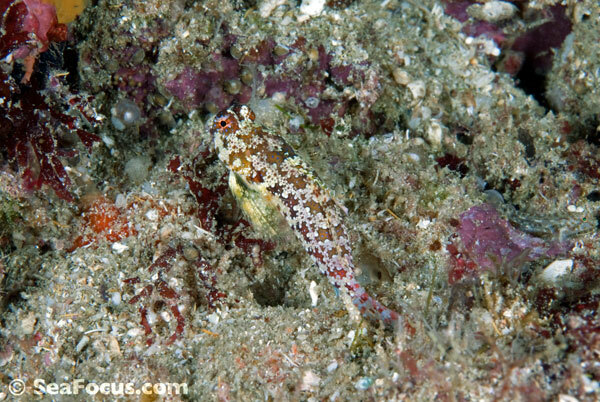 Dragonets are easily confused with members of the goby family as they appear and behave in similar ways. 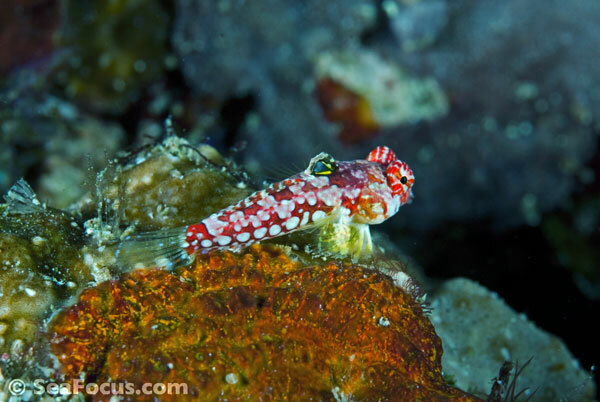 Although dragonets are a widespread and diverse group, because they are often tiny and bottom dwellers, they tend to be largely unseen by divers. 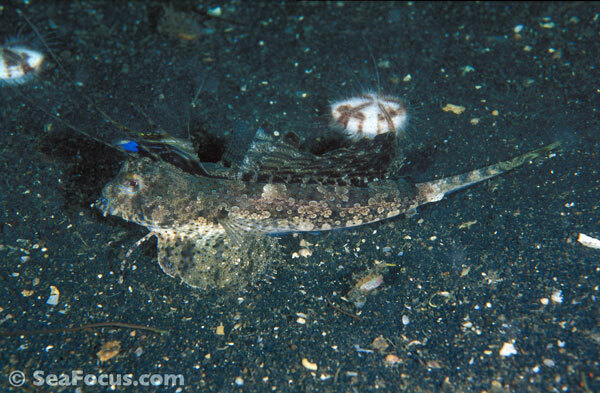 The largest is the longtail dragonet at 30 centimetres while the smallest is the Saint Helena dragonet at just 2 centimetres. 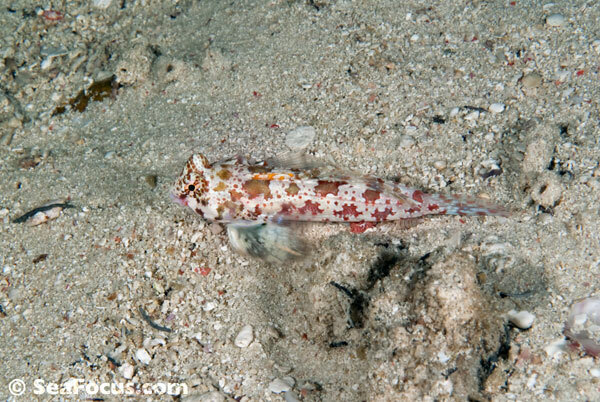 This tiny fish is so rare and endangered that it's impossible to even find an image of one on the internet. 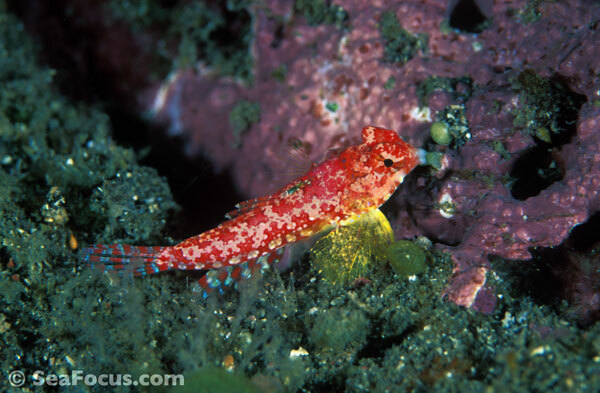 Dragonet bodies are elongated and scaleless, with large, showy fins – the first high dorsal fin usually has four spines and in males, these may be further adorned with filamentous extensions while their tail fins are fan-shaped and tapered. 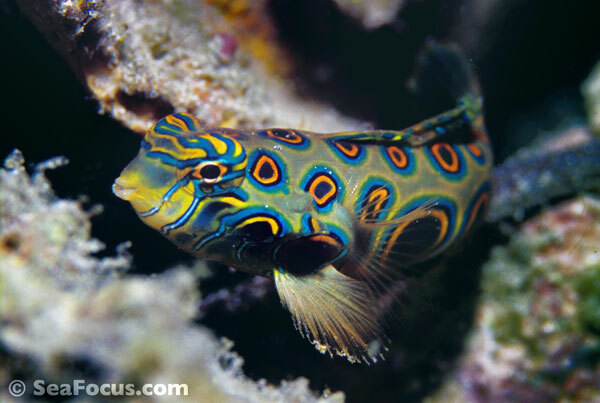 Dragonets tend to be colourful fish but with cryptic patterns that provide camouflage on the seabed or reefs. 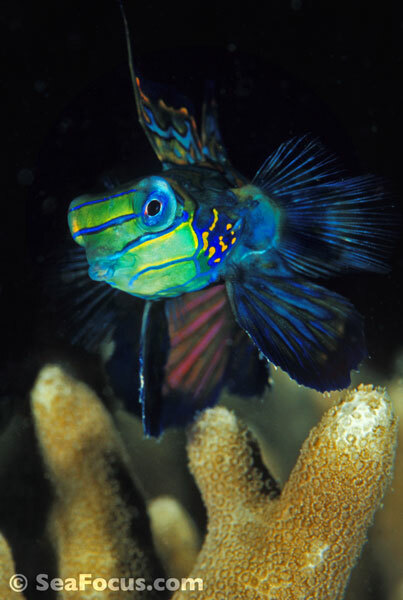 In many species, males and females have different colours and patterns, which become obvious during elaborate courtship displays – males show off their brightly coloured fins and repeatedly open and close their mouths. 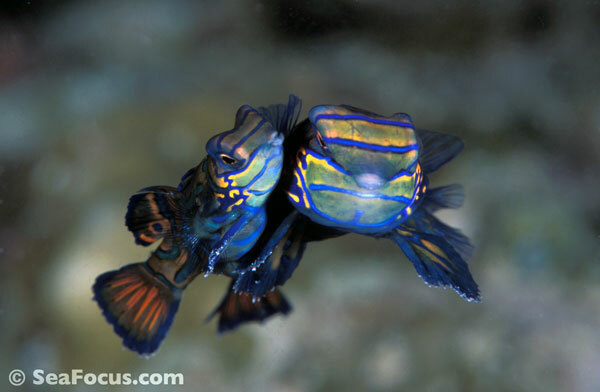 If the female is interested, the two fish will pair up and ascend in the water column, with the male supporting the female on his pectoral fins. 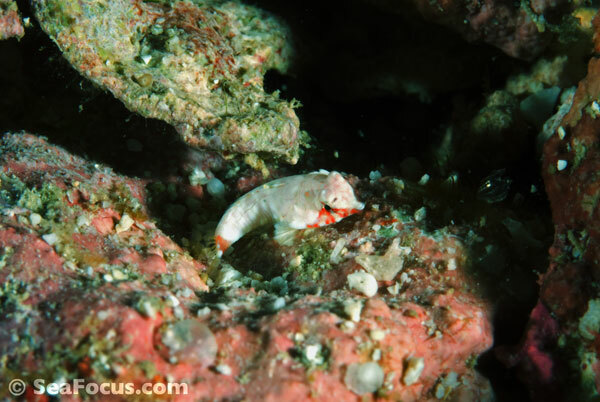 Eggs and sperm are released in midwater, where fertilization takes place. 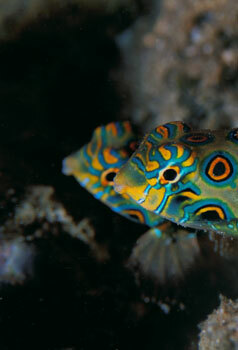 The buoyant eggs subsequently become part of the plankton, drifting with the currents until hatching. 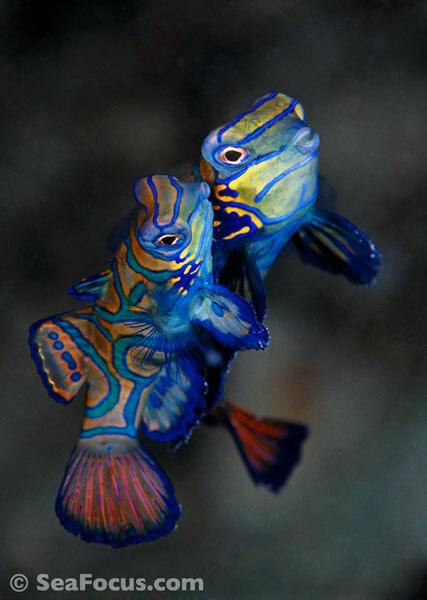 Picturesque dragonets and mandarinfish are the only two animal species known to have blue colouring due to cellular pigment. In all other known cases, the colour blue comes from reacting to and reflecting lightwaves. 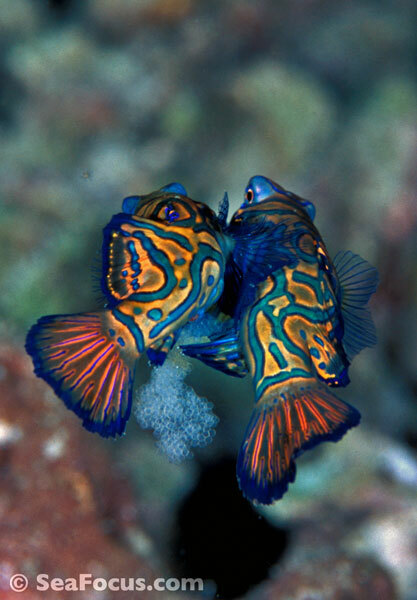 The name cyanophore is used to describe these blue pigment-containing cells. 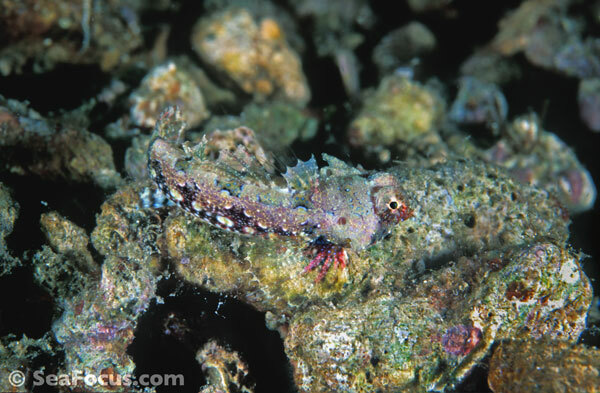 Some dragonets are already on IUCN list of threatened species, some are data deficient. It wasn’t quite what we’d intended - to sit and watch others indulge in that which is usually kept private, but it’s precisely what we did. 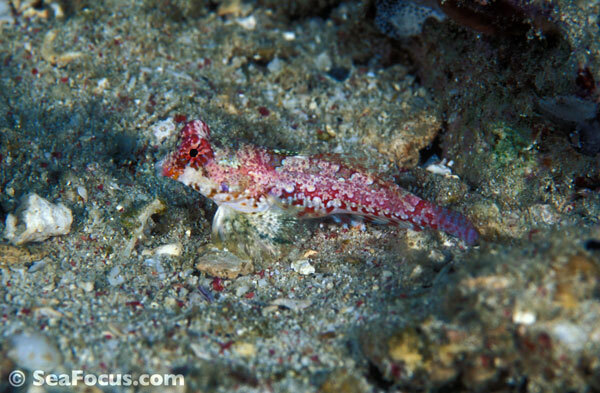 At 6pm on Kapalai Island, we attended a show of a very special nature. 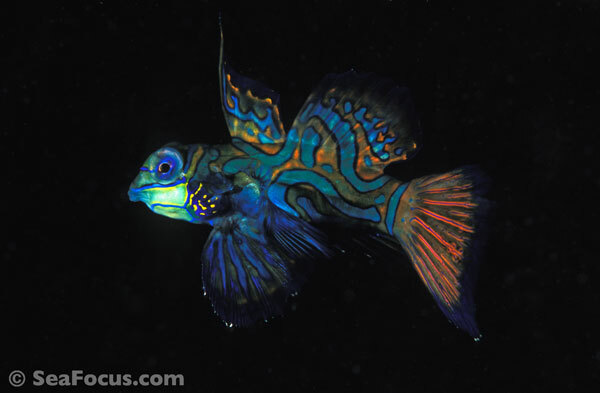 Every night, just after sunset, tiny mandarinfish emerge from their lairs to create babies. 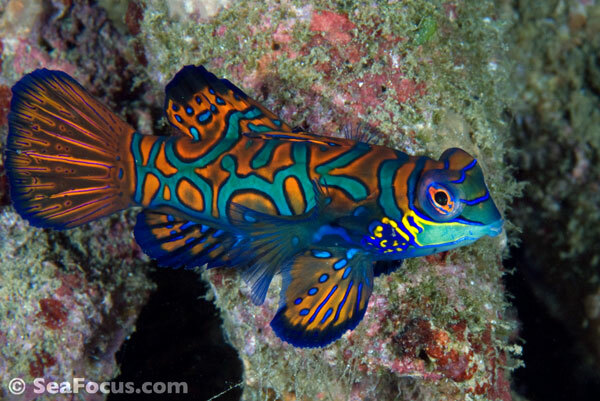 Just a few centimetres big, mandarins live amongst the cracks and crevices of coral rubble. 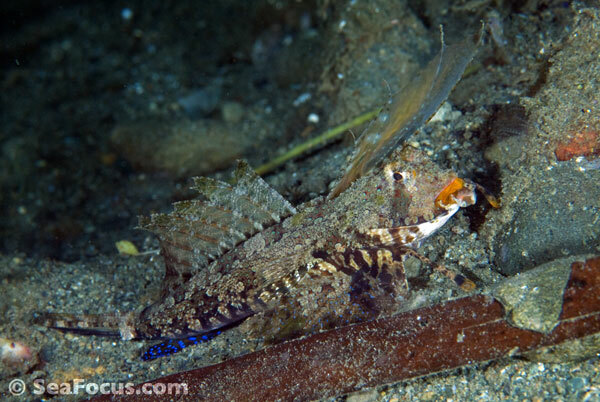 They only emerge under cover of darkness to feed or mate. 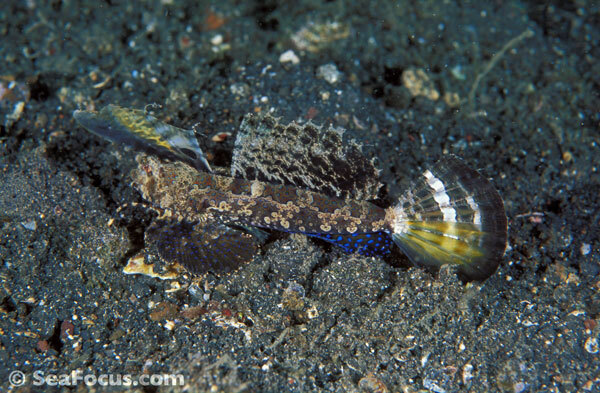 Part of the dragonet family their latin name, Synchiropus splendidus, hints at their extravagant skin colouring. 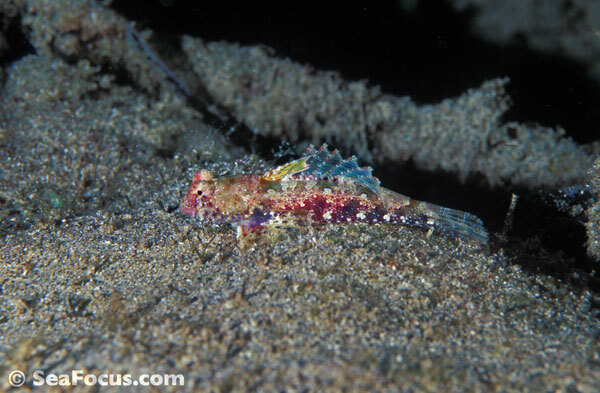 Getting to see them, even at dusk, takes patience, But if you know the technique, you can catch sight of them before they scuttle back to safety. Wait for the light to fall to precisely the right level, then peer through the gloom to see the males approaching the females. You can shine a dimmed torch on them, but anything too strong will scare them away. 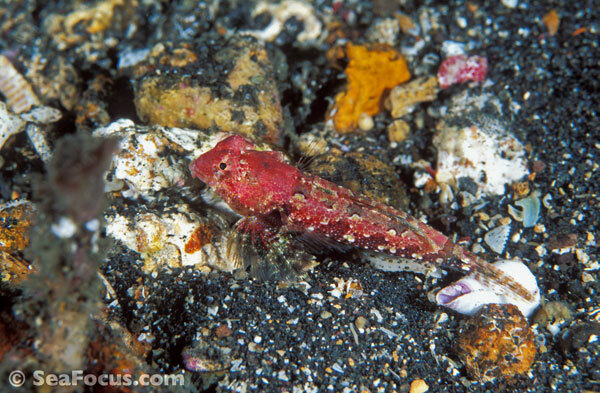 The males approach the smaller females, but the girls are picky, sometimes one will swim towards a suitor but suddenly returns to the seafloor. 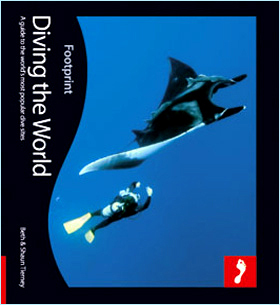 At other times, the man of her dreams appears and she joins her mate, resting on his pelvic fin as he ascends in the water. 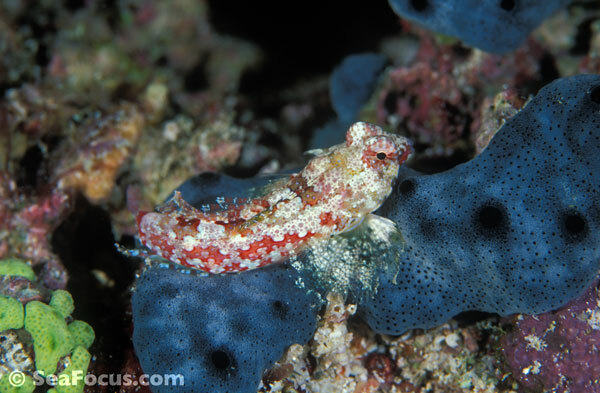 At their climax, a cloud of eggs and sperm materialises in a white puff before the fish disappear at the speed of light.